9mm - 3/8" Wholesale Double sided or Double faced satin ribbon in Australia. 9mm - 3/8" Wholesale Double sided satin ribbon in Australia. 43 colours available. Our online store can help with your hair bow making supplies, craft ribbon for your sewing projects or for wedding and invitation stationery. 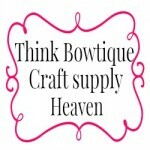 We believe you will not find a better quality double sided satin ribbon! You will love the vibrant colours. Colour charts are grosgarin ribbon charts, if you are unsure of the colour you need we can send a sample or you can purcahase the full colour chart. Colours may differ with different monitors, please request a sample if you are unsure of the colour your require.